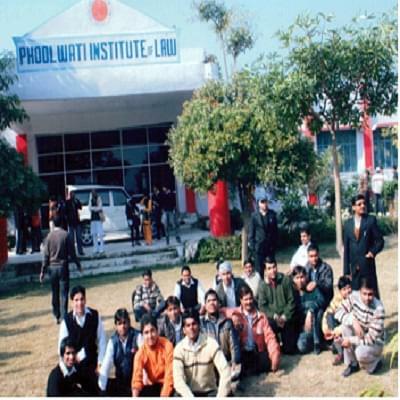 Phoolwati Institute of Law is under the aegis of Phoolwati Memorial Educational Trust. 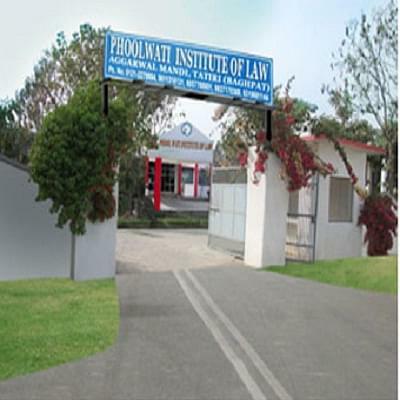 It is a unit of Phoolwati Institute of Law, Education & Technology and was established in the year 2002. It is affiliated to Chaudhary Charan Singh University, Meerut and approved by the Bar Council of India, New Delhi. The faculty of institute is highly qualified and experience in the field of law education and repute from other prestigious University are also invited as guest lecture. The institute has all necessary facilities like library having latest Textbooks and Journals, Seminars and Conferences hall, transport facility, cafeteria. The institute encourages to students to participate in all co-curricular activities like dramatics, debates, literary and cultural activities. The Moot court facility is also available to give the pupil lawyers a real life experience. The placement cell provides assistance and guidance to the students for their final interviews.